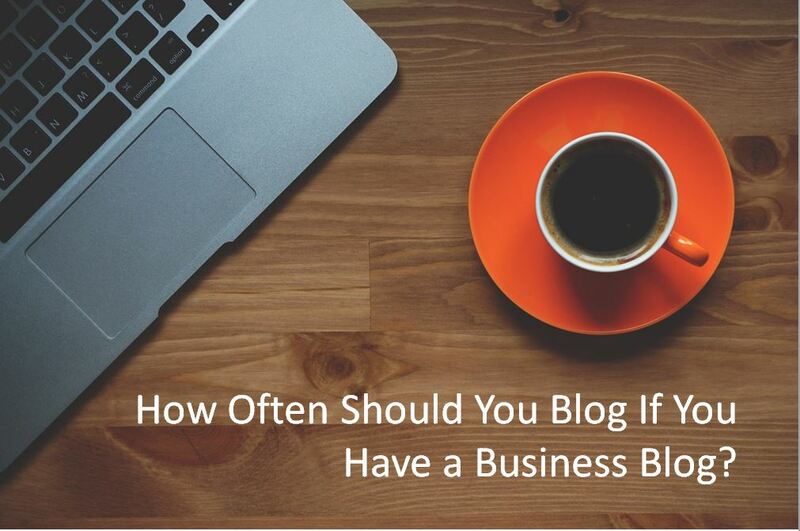 How Often Should You Blog If You Have a Business Blog? One of the biggest questions bloggers of all stripes face is how often they should blog. For personal bloggers, the answer is simple; whenever you want. But for business bloggers who use blogging as a way to drive new sales and for building awareness, a posting strategy is far more important. Business bloggers face many restrictions that personal bloggers don’t have to worry with. Probably the two biggest restrictions are a lack of time, and oversight from bosses and having to work within the confines of your company’s larger digital and content strategies. So in an effort to decide how often you should blog for your business, let’s start with removing the time restriction. Let’s assume you had all the time in the world to write whatever you wanted. If time were no longer an issue, how often should you blog? The answer, of course, is “it depends…” In general, publishing more content (assuming it has value to its audience) is better than publishing less. If your blog is itself a business, meaning you will be selling advertising or sponsorships on it, then you will likely need a pretty aggressive posting schedule. Likely one new post each weekday. At least. The idea is that your advertising and sponsorship rates are set in great part based on your blog’s traffic, which is why you need to post more often in order to raise traffic levels. But most businesses attempt to leverage their blogs as a way to generate new business leads or customers. So for these blogging businesses, a slightly less ‘ambitious’ posting schedule is more prudent. If your business wants to use its blog to build awareness or generate leads, then ideally one post each weekday, Monday through Friday, would be perfect. In addition, one of these posts, likely in the middle of the week, should be a longer, more in-depth post on a topic that’s core to your business. Think of it as a White Paper used as a blog post. So every week, ideally, you would write four shorter posts, with one longer, more in-depth post published in the middle of the week. So in a perfect world where you had all the time in the world…you would want to blog once a day during the week, with four shorter posts, and one longer, more in-depth post. Unfortunately, you don’t have all the time in the world. Your limited time means you have to prioritize your content creation efforts. If your primary goal for your blog is raising awareness for your company, then you need to create more content, plain and simple. The more you post, on average, means more traffic for your blog, more exposure, higher search rankings, etc. This means you need to balance your available time with posting once a day during the week, if possible. Posting more often helps your blog get more traffic and exposure. I’ve been very inconsistent in my posting the last few months, but just this week so far I’ve posted twice, and traffic is already up 10% versus last week. What you need to do is balance your available time with making sure that you connect with your audience. 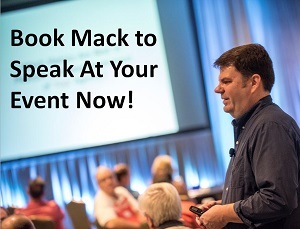 In other words, you want to make sure that your posts are going to be seen by your audience. If your audience only reads blogs on the weekend, then you only want to publish content on the weekend. If they only read during the week, then that’s when you want to post. If you aren’t sure, in general, most blogs see highest traffic levels in the middle of the week and during the middle of the day. So if I know I can only write say 2 posts a week, I will publish those posts on Tuesday and Thursday. If I can write three, then they will run one a day from Tuesday through Thursday. Also, consider if your audience is seasonal. My audience is primarily managers and directors who work at companies and who have control of digital budgets and allocations. Basically, the people that can write the checks and sign off on hiring consultants like me to help them improve their marketing strategies. As such, I take into account the likely schedules of this audience. For instance, most of this audience takes its annual vacations in July and August. As a result, I don’t blog as much during the Summer. On the other hand, in late Fall and early Winter is typically when this group is planning budgets for the following year. They are doing research to see who they should hire which is why I ramp up my blogging efforts the first 2 months of the year, and the last 2. I want to be on the radar for decision makers when they are looking and researching their consulting options. How Do You Decide How Often to Blog? You start in the middle, and work your way out. Start by writing one new blog post a week, and start in the middle of the week. If you can only write one post a week, publish it on Wednesday. If you can write two, publish them on Tuesday and Thursday. If you can publish three, publish them from Tuesday through Thursday. If you reach a point where you can publish a new post Monday through Friday, congratulations! If you find that you have enough time to create even more content, I would advise that you instead focus on improving your current content creation efforts before expanding further. If the main goal of your blog is to build awareness for your company, then in most cases you will never need to publish more than one post every weekday. If you find that you have time to create even more content, then focus on other content channels such as your email newletter or webinars. If you blog for your business, how many new posts do you publish a week, and how did you decide on that number?